Kerala has grown significantly in tourism, especially ecotourism. The region has seen several tourists in the past few years, and this number continues to increase steadily every year. Actually, it does not come as a surprise at all, seeing that the state of Kerala is endowed with breathtaking natural and man-made resources. Perhaps you are aware of the scenic beaches scattered all over the coastal region, Munnar and its tea plantation, the wildlife sanctuaries, the Athirapilly water fall, the serene lakes and the backwaters. However, not many people are aware of the farm houses in Kerala. These Kerala farm houses are situated in nature’s diverse abode, and offer visitors the true ecotourism experience. Not to mention, your ability to engage with nature “all levels”. Therefore if you are one hoping to have a relaxing vacation away from the bustling of the city, then a farm stay would serve your purpose better. No doubt the most common accommodation are the hotels, some with interesting features albeit at exorbitant prices. However, these hotels are located at the heart of the cities. For some vacationers, a holiday spent wading through a town filled with people would not be considered ideal. For this reason alone, many people opt for vacations, especially in highly visited destinations such as Kerala, on secluded farms . A farm house stay solves the problem of city excitement and dense human traffic, which is quite a common sight in Kerala cities. These farm houses are located away from the cities but not very far away from civilization. Such a stay ensures that you have a calm and relaxing holiday that you were looking forward to. After all the reason for visiting Kerala is to see the beauty of nature, and lodging in the cities does not do justice to that. Kerala farm houses are located on large expanse of farmlands and plantations which allows you the opportunity to see how beautiful and refreshing rural life can be. You may even be allowed to tend to the animals and plants with the owners. What better way to spend a vacation than this. You can even get involved with the farm to table movement! 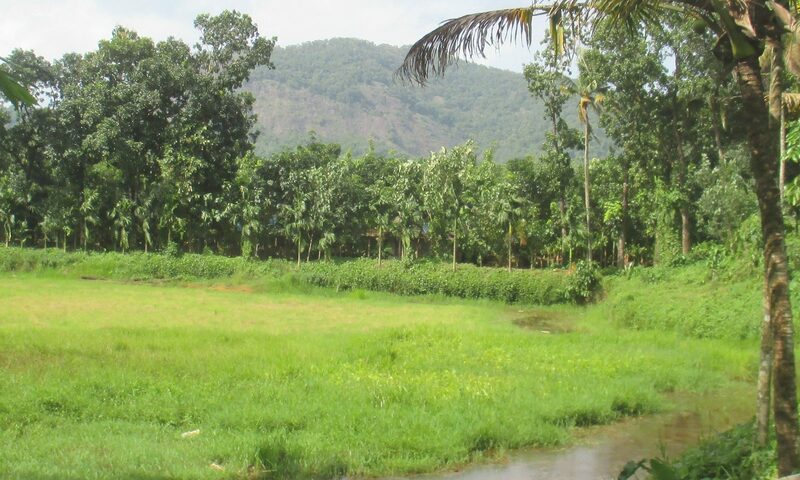 Most importantly, many natural attractions in Kerala are in proximity to the farm houses, making it a lot easier to access them without having to spend so much on transportation. A farm stay allows you to have a firsthand interaction with the locals. Without needing to pay extra for a tour guide, you can learn everything there is about the rich culture and history of Kerala. As has been shown, Kerala farm house stay is a refreshing experience everyone should have, especially if you want to have a calm vacation closer to nature. This however does not mean that you will be cut off completely from civilisation. All basic amenities are provided at the farms, and everything is put in place to ensure a wonderful stay. If you are looking to have a wonderful ecotourism experience in Kerala, then consider staying in Vayal, a farrmstay located at Thattekadu, in Ernakulam district of Kerala. A well known bird sanctuary (Dr Salim Ali Bird sanctuary) is located close by. Vayal offers a B&B farm stay in Kerala where you are sure to have a relaxing vacation like you have always looked forward to. Take a walk through our coconut, nutmeg, cocoa and fruit plantations, satisfy your curiosity about farm activities and lifestyle and stay in tune with nature. Although we are not part of the bustling city, we are not cut off from civilisation. Vayal is only a few kilometres from Kochi international airport, and just a few minutes ride to a hospital, a shop and other social amenities. But most importantly, we are even closer to the natural resources that make Kerala a hot tourism destination. From our farmhouse, it is easy to explore Munnar, the wide life sanctuaries and the scenic waterfalls and beaches. And if you decide to go for fishing and canoeing in our lakes and backwaters, we know just how to organise that. Vayal Farmhouse features bedrooms with comfortable beds, private bathrooms and an open-air restaurant. We also have basic amenities such as electricity, hot water and internet connection just for your comfort. Why not try Vayal farm stay for a fun Kerala vacation? Vayal is a place where you can try your hand at farming, or try an arduous trek, or simply walk through tropical plantations. Come and engage with nature! A farm stay, where you can relax, or get involved with the plantation. We also promote the concept of farm to table.